Having watched Masters of the Universe again after at least 15yrs I am happy to report that it really hasn't lost any of its charm. Sure it's campy and oldschool but that's exactly what we love from these old movies isn't it! 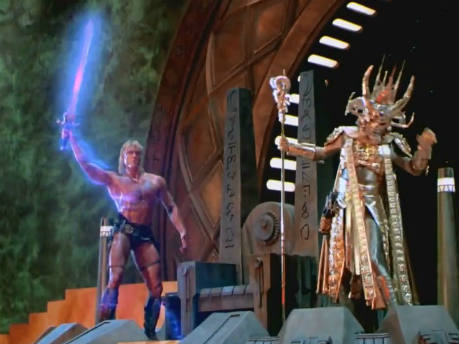 Here is a still of He-Man freeing the Power Sword from Skeletor's throne... I HAVE THE POWER!